The College has two groups dedicated to justice, peace and advocacy for students. 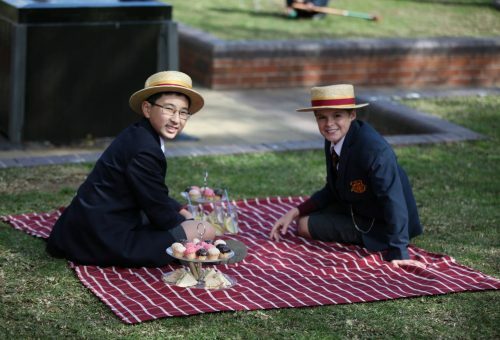 These groups are recognised Co-curricular activities and are also open to all students with a passion for living their faith and sense of justice. These groups allow students to broaden their world view and work for those who live on the margins, enhancing not only their own lives, but all aspects of their curriculum. The Social Justice Action Group (SJAG) is the College’s primary organisation for action on all matters related to justice. 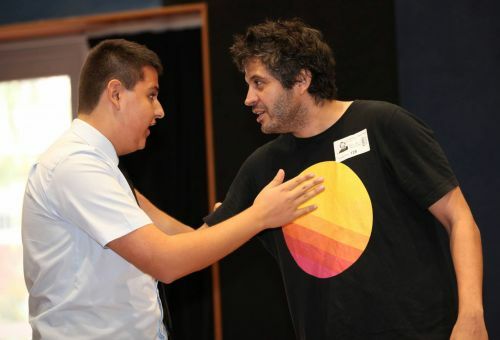 It is open to students in Years 10 – 12, with each year beginning in Term 4 and concluding at the end of Term 3. This group co-ordinates and leads the College in all campaigns, appeals and advocacy, including the Winter and Christmas Appeals, Reconciliation and Refugee Weeks, Detention for Detention, the Winter Sleep Out and Fair Trade Fortnight. SJAG publish the It’s Time magazine each term for the whole College community shining a light on those issues that are important for the community to know about. The Faith In Action Team (FIAT) is for students in Years 7 – 9, many of whom were involved in the Junior School Justice Group. This group involves a clear program of showing the deep relationship between our faith and the action for justice; a deeper connection than Humanism. 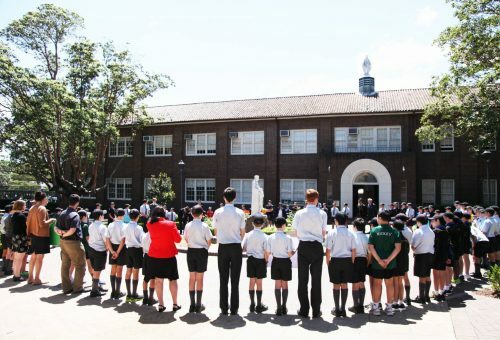 It includes learning more about our Catholic Tradition in terms of spiritual development, liturgical practice and justice foundations and it engages students to be involved in actively preparing and participating in various initiatives around the College, including liaising with the Junior School Social Justice Group and SJAG. Each term involves a different focus, from the Australian Catholic Bishops Social Justice Statement to leading for formation.